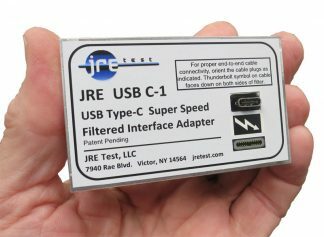 Easily test Ethernet connected devices in an RF Shielded test environment ! Latest design includes new LTE cellular bands. 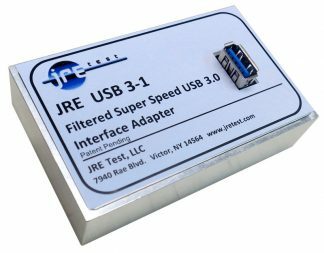 All eight RJ-45 lines are filtered, useful for LAN as well as other applications! 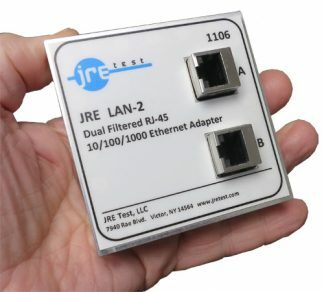 The LAN-2 Filter consists of two separate and independent 10/100/1000 Ethernet compliant low pass filters inside a machined aluminum housing which provides exceptional RF shielding on all 8 signal lines, making it compatible with standard Ethernet as well as any other format using an RJ-45 connector. The filter is designed to reject frequencies greater than the Cellular frequencies of 700 MHz while passing data between RJ-45 connected devices such as routers, switches, access points or other Ethernet devices. 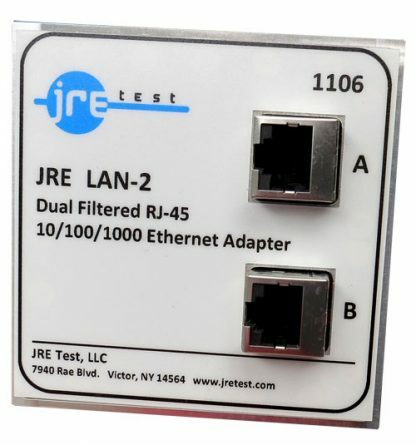 Since all 8 signal lines are filtered (10/100 Ethernet uses only 4 of the 8 available signal lines while 1000 uses all lines) one can use this filter as an interface to connect various other devices within the test enclosure. Standard RJ-45 jacks are used, so one may wire any signal on to any of the eight lines and pass it across the filter, knowing that anything below 480 MHz will pass and signals above 700 MHz will be attenuated by greater than 70dB. 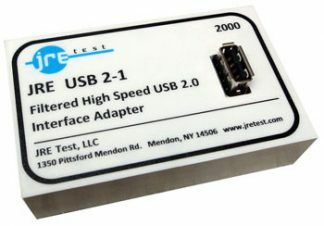 The LAN-2 interface consists of balanced pairs of bi-directional data lines on all connector pins. 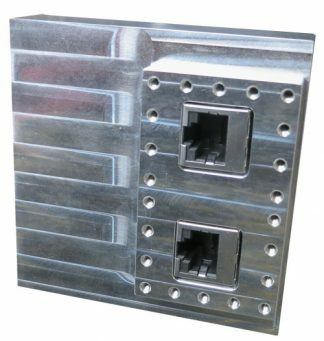 Standard RJ-45 Ethernet LAN connectors are used allowing simple and reliable connection to your devices. 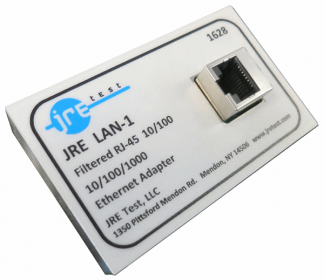 The data line filters pass up to 480 Mbps of data while providing rejection greater than 80dB from 1 GHz through 6 GHz. 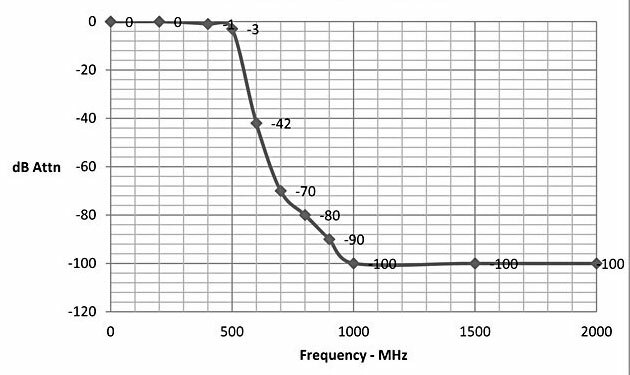 The use of high performance inductors allows a current of up to 250 mA and a DC resistance on any path below 1.5 ohms.